Dec 4, 2018 Posted by AAfterwit on Dec 4, 2018 | Comments Off on No Media Bias. Ever. From the colored pencils of A.F. Branco at Comically Incorrect. 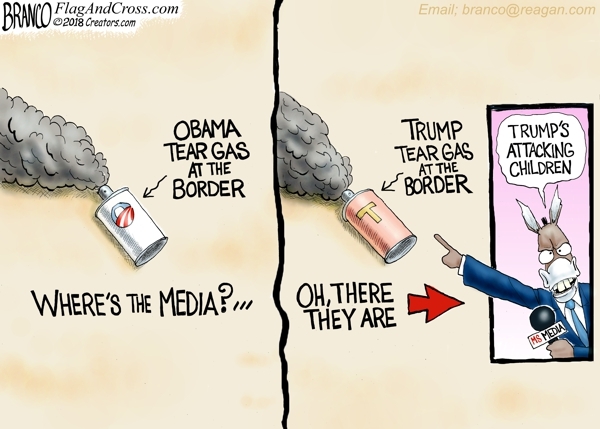 The Mainstream media is outraged at trump because tear gas was used at the border but not a peep when Obama did the very same thing over 80 times.